ZAHRA is a new documentary that tells of the passion and commitment of a single mother with four children, a refugee from Somalia, who overcomes obstacles to transform her life and make a difference in the community. Tackling crucial issues that affect social harmony, breaking down communication barriers between the old and the young, resolving conflicts between groups and clans, and campaigning on the global issue of female genital mutilation. The film is available on DVD. A sequel to The Imam and the Pastor, shot in Kenya, was premiered in Nairobi on 11 June 2010 in the Amani Room of the Serena Hotel in Nairobi. 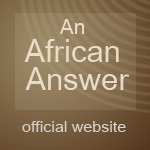 'Amani' means peace in Swahili and the room acquired its name after Kenya's post-election violence in 2008. It was here that Kofi Annan brokered the National Peace Accord and the formation of Kenya's present coalition government. This 38-minute documentary film is available on DVD. 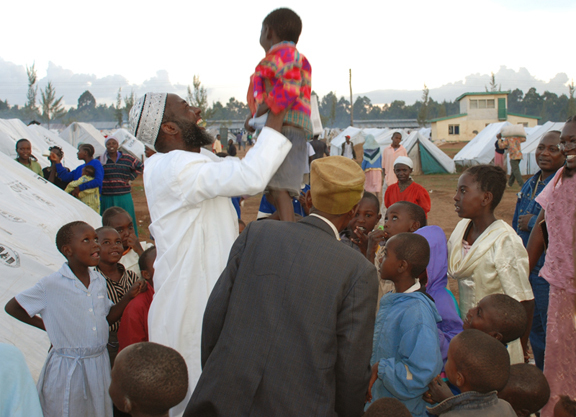 Imam Muhammad Ashafa interacts with children in the camp in Eldoret where 16,000 people took shelter after post-elections violence in January 2008. 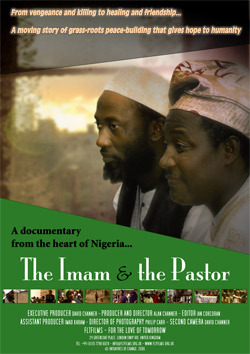 "The Imam and the Pastor" depicts the astonishing reconciliation between Imam Muhammad Ashafa and Pastor James Wuye, and the peace-making initiatives which have flowed from it. The film, narrated by Rageh Omaar, shows that it is possible for the perpetrators of inter-religious violence to become instigators of peace. It is both a story of forgiveness and a case study of grass-root initiatives to rebuild communities torn apart by conflict.